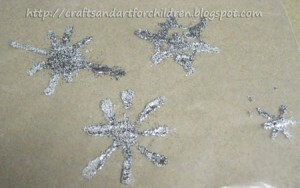 Last month, my toddler and I made several different snowflake crafts. We did a water color resist project. 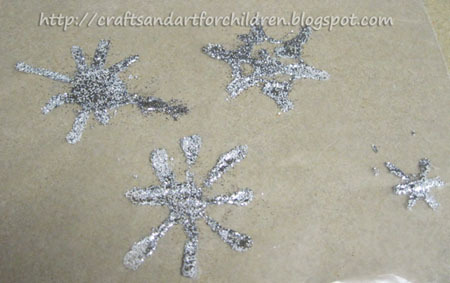 I drew snowflakes on white paper using a white colored pencil. 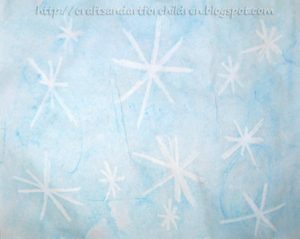 Originally, I used a white crayon but that didn’t turn out as I had hoped and found that the colored pencil worked a lot better. 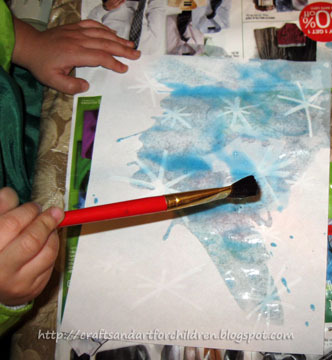 My son painted with blue and the snowflakes magically appeared! I cut snowflakes from contact paper and my son placed them on a piece of paper that he had painted blue. 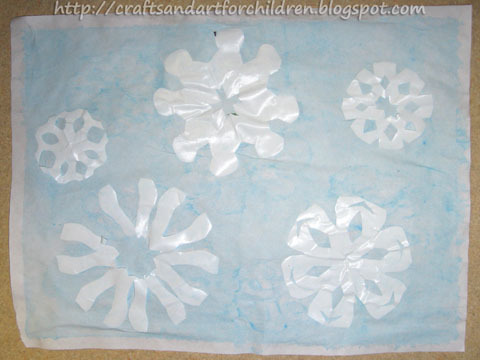 How to make snowflakes tutorial. 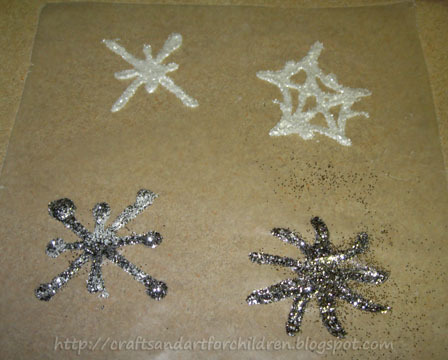 I saw this fun idea over at Almost Unschoolers to make snowflake clings using glue and glitter. 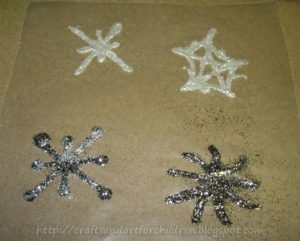 They make such a fun, homemade winter decoration! I couldn’t get a good photo of them hanging up on our window so be sure to pop on over to their blog to see what they look like and get tips for hanging them up. Ever year, after Christmas I shop at Michaels when they have everything on clearance along with the 20% coupon (they email it a few times a year) to get things for super cheap. 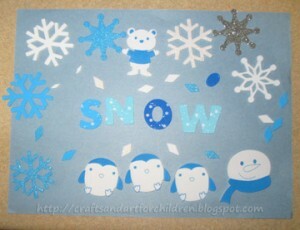 One of the things I picked up was a giant thing of winter-themed foam stickers. My son made pictures as well as cards, I gave some stickers away, and we still have a ton left for next year! Those are all great ideas! 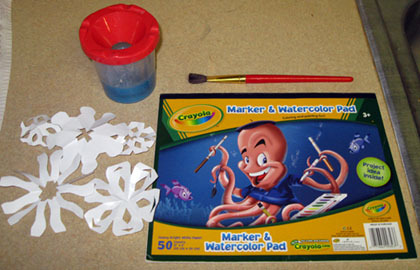 We&#39;re having another snow day today so maybe we&#39;ll get a chance to do some of these. Thanks for sharing!